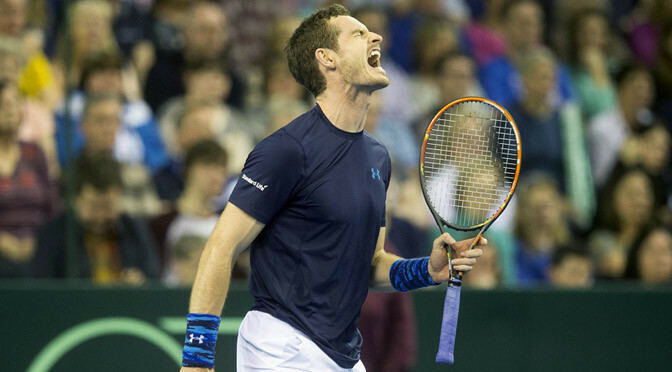 Andy Murray sealed a Davis Cup quarter-final place for Great Britain with a straight-sets win over American John Isner in Glasgow. He saved three set points in the first set and won 7-6 (7-4) 6-3 7-6 (7-4) to give Britain an unassailable 3-1 lead in the World Group first-round tie. Britain will next play France at home in July, with the venue to be decided. “It feels great. This is a team effort and I think everyone agrees the team played their part,” said the Scot. Murray, 27, who returned to play in Scotland this week for the first time in four years, looked edgy in the early stages against Isner but was clinical when it counted. “On behalf of all of the players I want to thank the crowd because it’s been one of the most special atmospheres I’ve ever played in,” he added. Great Britain’s women were beaten as Australia broke the world record by nearly three seconds in the Track World Championships team pursuit final. 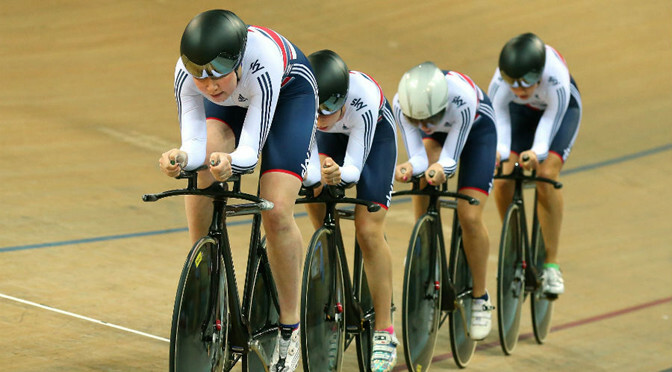 They denied Katie Archibald, Elinor Barker, Laura Trott and Joanna Rowsell a fifth straight gold and inflicted on them their first defeat in four years. Australia won gold with a blistering time of four minutes 13.683 seconds. 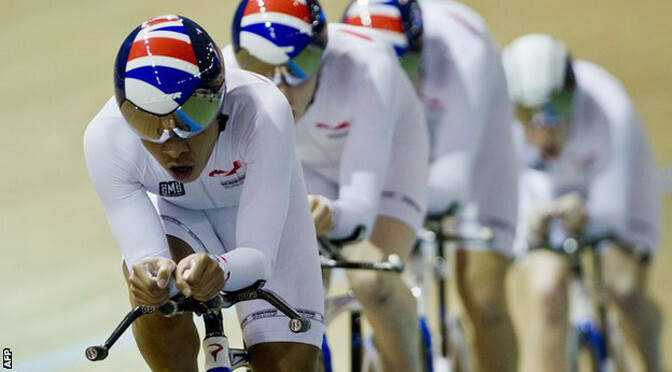 The GB men’s pursuit team also had to settle for silver after a desperately close battle with New Zealand. Ed Clancy, Steven Burke, Andy Tennant and Owain Doull clocked an impressive time of 3:54.687 in a final in which they had opened up a lead of more than half a second. However, a final-lap surge from New Zealand saw them edge back ahead to take the gold in a time of 3:54.088 and deny Britain a first gold in the event since 2012. But the performance of the evening came from Australia’s women Annette Edmondson, Ashlee Ankudinoff, Amy Cure and Melissa Hoskins as they demolished Britain’s previous world record of 4:16.552. “I’m a bit gutted, I guess,” said Trott, who had previously always taken gold in the event since her Track World Championships debut in 2011. “It’s the first one we’ve lost so a bit of a shock but they rode a 4:13 which is unbelievable. We’ve never gone anywhere near doing that so hats off to them. Earlier Britain’s Jason Kenny, the 2013 world champion, failed to qualify in the men’s keirin. “I was just a spectator and never really got involved in the race,” he said. 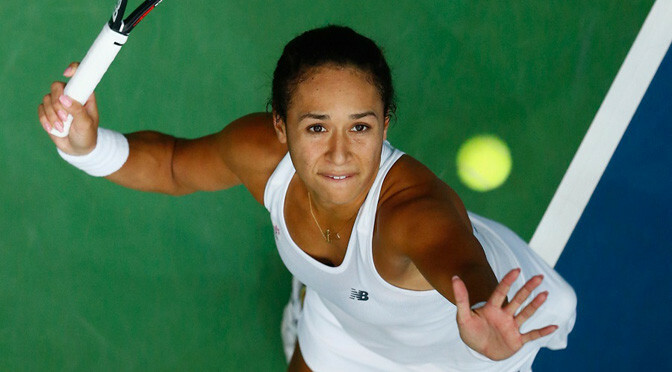 Great Britain recovered from the brink of elimination to beat Ukraine and top their Fed Cup qualifying group. Even though Johanna Konta and Heather Watson won their singles matches, Anna Smith and Jocelyn Rae still had to save a match point to win the one set of doubles they required to go through. Britain will now contest a Group I play-off against Victoria Azarenka’s Belarus on Saturday in Budapest. The winners will progress to the 16-team World Group II play-offs in April. Following their defeat by Turkey on Thursday, GB needed to beat Ukraine convincingly to advance. World number 145 Konta, 23, beat Lesia Tsurenko – a player ranked 53 places above her – 6-3 6-2, before British number one Watson, 22, fought back from a set down to defeat Elina Svitolina 2-6 7-5 6-4. Smith, 26, and Rae, 23, lost the first set of their doubles contest on a tie-break and saved a match point that would have eliminated Judy Murray’s squad before sealing the tie 6-7 (6-8) 7-5 6-4. 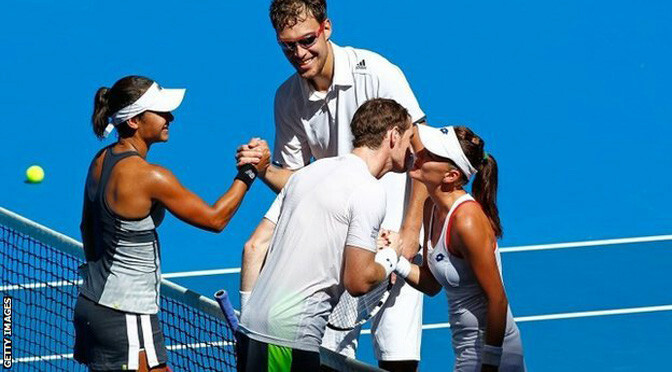 Murray paid tribute to her team for bouncing back from the blow of the Turkey reverse. “It was an amazing day today,” she said. “We had such a disappointing day yesterday and everyone was very flat leaving the courts. But we managed to turn it around. 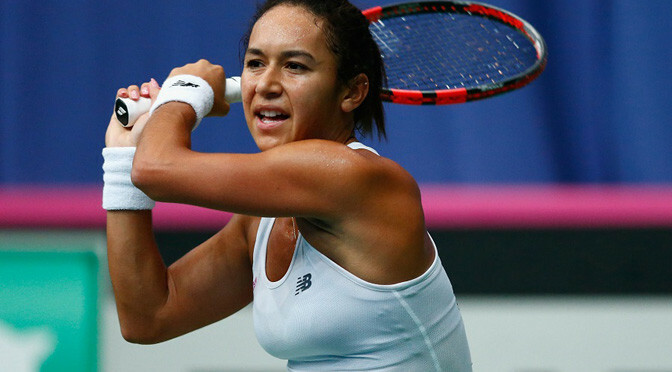 A shock 2-1 defeat to Turkey in Budapest left Great Britain’s women needing a victory against group favourites Ukraine in order to progress to the next stage of the Fed Cup. Johanna Konta was beaten 6-3 7-6(6) by Ipek Soylu, who isn’t ranked in the world’s top 300, while Heather Watson lost her high-pressure match against Cagla Buyukakcay, who is ranked 79 places beneath her. Having strolled through her encounter with Lichtenstein on Wednesday, Konta came into the tie on good form and started well by breaking Soylu but ended up capitulating at the end of the second set as she lost four tie-break points in a row. Watson, who started as poorly as Konta finished, was 4-0 down to Buyukakcy and couldn’t arrest the momentum until finally breaking back in the second. However, she was immediately broken back and succumbed to the in-form Buyukakcay, who had beaten world No. 26 Elina Svitolina on Wednesday. A strong performance from doubles pair Jocelyn Rae and Anna Smith gave Great Britain a potentially crucial point in the third and final tie against Turkey, but the team still need to beat Ukraine and hope that Turkey defeat Lichtenstein if they are to progress to the third round. Great Britain have been crowned men’s team pursuit champions in the UCI Track World Cup series after taking bronze in the final round in Cali, Colombia. Germain Burton, Matt Gibson, Chris Latham and Mark Stewart beat Denmark in the third-placed race by just under half a second. It is their fourth World Cup trophy, with wins in 2005, 2008 and 2010.